Although the content of the PDFs will vary considerably, each will feature certain sections. This page offers explanations about each one. Let's look at each Character Profile section separately. At the top of every Character Profile, you'll find the meaning of the kanji in question. In this case, the Character Profile is from essay 1028 on 猿, which means monkey. This kanji also has a few more meanings, as you'll see at the end of the essay. But those definitions are obscure. Only the most important meanings appear in the Character Profile. Incidentally, the term Joyo doesn't just dictate which kanji you'll need in Japan; it also tells you the exact yomi you should know for basic literacy. That is, a Joyo kanji often has both Joyo yomi and non-Joyo yomi. For instance, 雨 (3: rain) has two Joyo kun-yomi (あめ and あま) and one non-Joyo kun-yomi (さめ). The Character Profile lists only Joyo yomi. To know which yomi are Joyo, I consult an authoritative list by the Japanese Agency for Cultural Affairs. Some non-Joyo yomi may pop up in the essay, but I'll always let you know that they're non-Joyo. The Character Profile also provides the yomi of the kanji when it appears in given names and family names. Can you imagine giving your child a name that includes the monkey kanji?! If you check Denshi Jisho, you'll see a section called Japanese Names. That category might present name yomi that don't appear in the Joy o' Kanji Character Profile. There would be several reasons for this. For one thing, whereas the "Japanese Names" category in Denshi Jisho includes both place names and personal names, the Joy o' Kanji name yomi listing relates primarily to people's names, particularly to given names. It should be noted, though, that personal and place name yomi are not mutually exclusive. 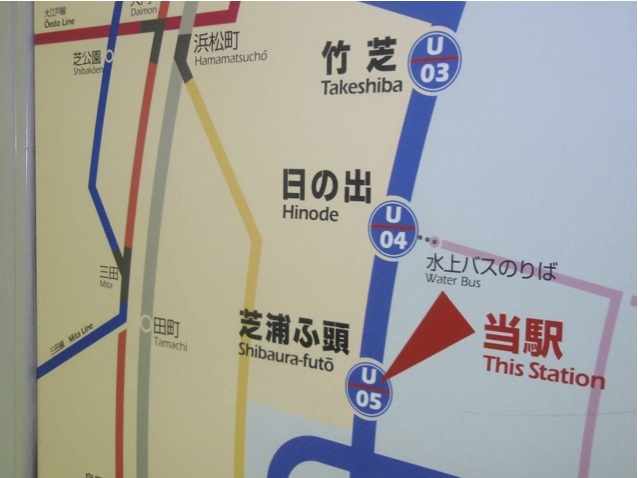 To cite one of many examples, 塚本 (つかもと) can be either a surname or a place name. For another thing, many kanji have countless name yomi, making it rare to find identical listings in any two dictionaries. The dictionary Kanjigen, which is my primary source for name yomi, presents long lists of them. Given the space limitations in the Character Profile, I've chosen to share just a few of these. My listings will also include any name yomi that I discuss in the essay (usually in photo captions about shop signs and the like). If the three yomi differ, you'll find them all listed in this section. If two are the same (e.g., the yomi for 呉音 and 漢音), I'll list only the earlier reading. Meanwhile, there's even a fourth classification. When an on-yomi doesn't belong to any of the three types above, the Japanese call that yomi 慣用音 (かんようおん), which translates as "traditional (popularly accepted) pronunciation." For example, 茶 (171: tea) has a 唐音 of サ and a 慣用音 of チャ. Even when a kanji lacks a Joyo on-yomi, the essay will still list the old type of on-yomi. For instance, 芝 (1335: lawn grass) has no Joyo on-yomi, but the Character Profile displays the 呉音 of シ. We all learn in different ways. I find it hard to make random syllables stick in my brain. For me, it's much easier to remember a yomi by coming up with a word that contains it. For instance, if you think of 茶 and try to conjure up two on-yomi, you might remember チャ but draw a blank about サ. By contrast, you can more readily associate 茶 with these two yomi if you think of how to say "tea" (お茶, おちゃ) and "cafe" (喫茶店, きっさてん). In the Character Profile, I present keywords that you're likeliest to hear, know, use, and remember. In the image here, the keyword is 犬猿の仲 (けんえんのなか). I chose this because the rhyme of けん and えん aids the memory. I also try to pick words with unvoiced versions of the yomi, though I do make exceptions. My choices are subjective; if they don't work for you, by all means pick your own! From data that Jack Halpern of the CJK Dictionary Institute kindly gave me, we learn that 猿 ranks 1905th out of the kanji most often used in newspapers. Poor, lowly monkey! By "newspapers," I specifically mean the Yomiuri Shimbun, the most widely circulated newspaper in the world! In extremely rare instances, when there's no information about how often the Yomiuri Shimbun uses a particular kanji, I'll cite frequency data for the Asahi Shimbun instead (and will mention this). So much for the "importance" of a particular kanji. Now for its "difficulty." For concision, I've used "difficulty" in the heading to indicate when Japanese students learn each kanji in their academic careers. In the case of 猿, the answer is "junior high school." (After sixth grade, students don't need to learn a particular set of characters each year. Rather, they have until the end of junior high to do so.) As noted in the FAQ About JOK ("Which Characters Will Joy o' Kanji Essays Examine First? "), junior high kanji aren't inherently more difficult, or not always. We just tend to think they are! As for the JLPT level, this refers to the Japanese Language Proficiency Test, a standardized exam administered in Japan and around the world. As of 2010, the test has five levels, where N5 is the easiest and N1 is the hardest. (The N stands for "new.") To pass N1, you need to know all the Joyo kanji. As the image shows, 猿 would most likely appear only in the N1 test. Most likely? Yes. The JLPT authorities refuse to issue official lists of the kanji needed for each level because they want you to learn everything. (No sweat, right?!) Many of the JLPT listings in Joy o' Kanji have come from the long-established Yoshida Institute and should be fairly reliable. Nevertheless, you should take this information with a grain of salt. Each kanji has a radical. In the case of 猿, the radical is 犭, known in English as the "animal" radical and in Japanese as けもの. In 猿, this radical appears on the left-hand side of the kanji, the position known as へん. Thus, the name of the radical in 猿 is けものへん. To know much more about radicals, see Radical Terms. For more on the kanji for the left-hand position, see essay 1782 on 偏 (へん). This section helps you avoid mixing up the kanji in question with "look-alikes." By "look-alikes," I mean kanji with similar appearances. They may look so much alike that you confuse them. Even if they're different enough that you're unlikely to mix them up (e.g., 又 and 双, which respectively mean "again" and "pair"), the list may prompt you to make a mental note of their similarities and differences. For each kanji listed in this section, you'll see a number and a definition. The number is the Henshall number. As explained in the FAQ About JOK, in the section "What Are the Numbers Associated with Each Kanji?" this is the number Kenneth Henshall assigned to each kanji in A Guide to Remembering Japanese Characters. In the image, you can see that 遠 means "far" and will be essay 79 in Joy o' Kanji. You have undoubtedly noticed that certain parts of this section appear in blue. This blue signifies an on-echo, a term of my own coinage that I explain at length in the glossary. When a particular on-yomi such as エン echoes through a series of kanji with shared shapes, noting the pattern can make it easier to remember the yomi for that series. On top of that, it's fun to find patterns among kanji and to remember that there's an underlying system, not the complete mess that one sometimes perceives! 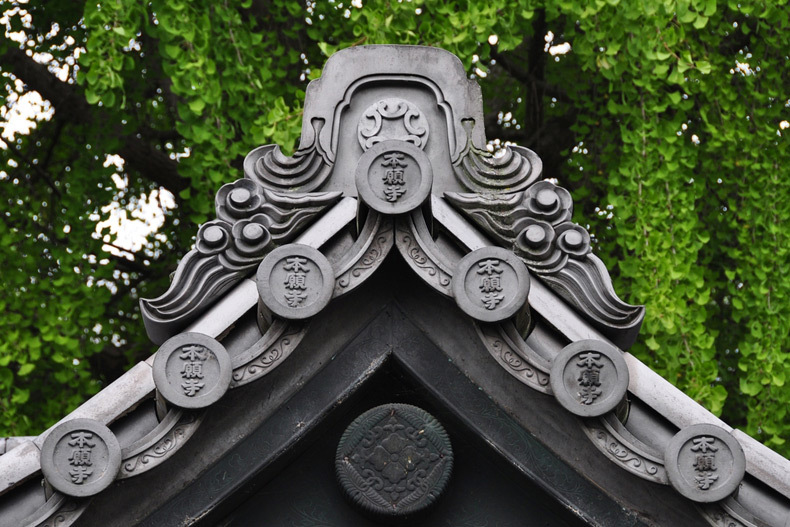 There are complex patterns to discern and admire throughout Japan! When characters in an echoing series (e.g., 園) don't look enough like the main kanji (猿, in this case) to put you at risk of mixing them up, I list the echoing characters in a special note, as shown in the image. In this case, the echoing shape, 到, shares the on-yomi of トウ with 倒. The repeating shape, 来, has an on-yomi of ライ or タイ, not キョウ. "Sound-alikes" are kun-yomi homophones. In the Character Profile for 猿, we see just one other Joyo kanji with the Joyo kun-yomi of さる. I've excluded 然る (528: particular) and 申 (322: sign of the monkey) because, even though you can read both as さる, those kun-yomi are non-Joyo. Oh, it's all so complicated, isn't it?! The kun-yomi homophone 去る means something quite different from 猿. Often, though, kun-yomi homophones practically share meanings. For example, もと can correspond to 下, 本, 元, 基, or 素, all of which have meanings related to "base," "root," or "origin." (For more on this concept, see Crazy for Kanji, page 110, as well as Exhibit 56 in that book.) Of these five kanji, all but the last one have もと as a Joyo kun-yomi. Therefore, a list of sound-alikes in the Character Profile would exclude 素 and include the others. Even native speakers struggle to differentiate many kun-yomi homophones, so it's useful to be aware of the "rivals" for the kun-yomi at hand. By contrast, although there are also scads of on-yomi homophones, they tend to have entirely unrelated meanings. For that reason, there's no need to list on-yomi sound-alikes. There's one other gray area when it comes to kun-yomi sound-alikes. It's the matter of voiced yomi. That is, the kanji 殻 (1075: shell) has the Joyo kun-yomi of から. When this kanji pops up in words such as 貝殻 (かいがら: seashell), the から turns into がら. Should we also count がら as a Joyo kun-yomi, and should I therefore list it as a sound-alike for 柄 (1776: character, nature), which has the Joyo kun-yomi of がら? There would certainly be good reasons to do that; when it comes to 殻, native speakers perceive から and the voiced -がら as part of the same package. Just to keep things as simple as possible, though, I have opted not to list voiced yomi as sound-alikes. 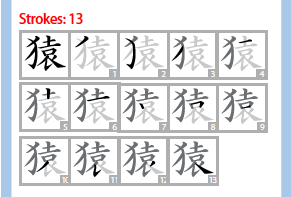 The stroke count tells you how many strokes each character has—13 in this case. Each stroke order diagram (created by talented graphic designer Tiara Marina) indicates how to draw the kanji in question. The first box shows the complete kanji. In the next box, the character becomes light gray, except the first stroke, which is black. In the subsequent box, the first stroke is dark gray and the second stroke is black. By looking at the progression of boxes, you can see how to build the character, stroke by stroke. In some cases, the typed form of a kanji differs significantly from the shape of a handwritten character. The stroke order diagrams in Joy o' Kanji reflect handwritten shapes. After seeing the diagrams, you may have questions about the direction of the strokes. Generally strokes go from left to right and from top to bottom, but diagonal strokes can cause confusion. When you're uncertain, you may want to watch a stroke order animation. These are available on several websites, such as Jim Breen's dictionary. 1.j. Read All About It! Halpern: Jack Halpern, ed., The Kodansha Kanji Learner’s Dictionary: Revised and Expanded (Kodansha International, 2013). This portable dictionary indicates the meaning of each kanji in particular compounds. That is essential information, as the meanings of characters can change from word to word. Joy o' Kanji essays published after July 19, 2013, indicate two Halpern numbers in the "Read All About It!" box (e.g., 320/394). The first number refers to the 1999 edition of Kanji Learner's Dictionary, whereas the second reflects the numbering in the newly revised and expanded edition. You will see the same type of listing for Halpern numbers in the Mini Profile of every Character Home Page on the site. Henshall: Kenneth G. Henshall, A Guide to Remembering Japanese Characters (Tuttle, 1998). This book presents the etymology of individual characters, exploring the way the meanings and shapes of kanji have changed over time. Spahn: Mark Spahn and Wolfgang Hadamitzky, with Kumiko Fujie-Winter, The Kanji Dictionary (Tuttle, 1996). An encyclopedic tome that lists virtually all existing compounds for each character, this book made me fall in love with kanji! 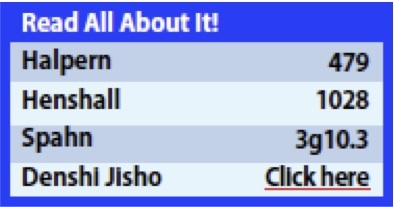 Denshi Jisho: This online dictionary presents great amounts of information in a concise, attractive way. The outstanding feature is the array of possible components that enables you to search for unknown characters. In Joy o' Kanji, you'll see shorthand references to these works and others, such as Nelson's dictionary. Further Resources supplies more information about that book and more. The information in the Etymology Box largely comes from Kenneth Henshall's Guide to Remembering Japanese Characters, though I learned some of the facts and theories from my Japanese proofreaders, who consulted reference books written in Japanese. 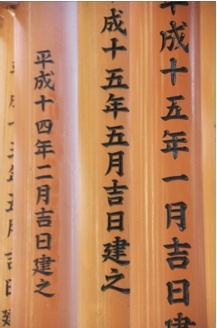 For more information about these historical styles, see the glossary ("Old-Style Scripts, Yojijukugo, and Kokuji"). The Character Profile and the Etymology Box are just two of the many sidebars you'll see in Joy o' Kanji essays. Sidebars usually elaborate on parts of the main text. Because of design constraints, a sidebar can't always appear alongside the relevant text. Superscript numbers in both the main text and the sidebar titles clarify which pieces go together. If you see text marked with 2, look for a sidebar title featuring 2. The Character Profile and the Etymology Box are unnumbered sidebars, and they're not the only ones. Sometimes a sidebar is unnumbered because it doesn't relate directly to any part of the main text but rather examines the central theme or the main kanji from another point of view. Joy o' Kanji essays abound in sample sentences, followed by vocabulary presented in the most compact way possible. 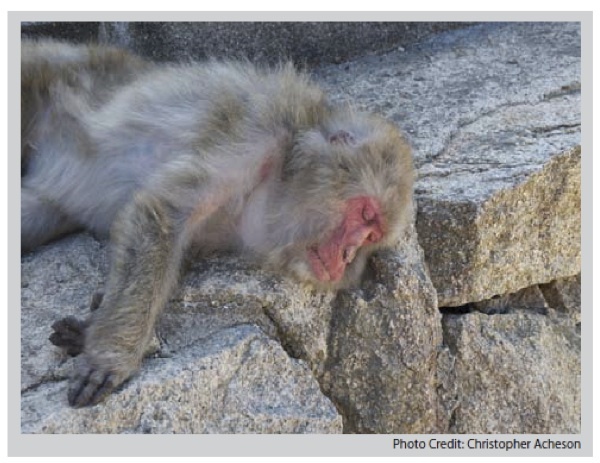 You can see this in the text above, which is from essay 1028 on the monkey kanji. To make the presentation as concise as possible, I don't include the する of する verbs in vocabulary lists; instead, I define their noun forms. For instance, a sentence in essay 1166 (狭) contains 就職する (しゅうしょくする: to find employment). The vocabulary list says "就職 (しゅうしょく: finding employment)," bearing no trace of the する. One can almost always take the noun form and deduce the meaning of the する verb form. When that proves tricky, I supply the する after all. In lists of definitions, I also provide the dictionary form of verbs such as 買う (かう), even if the form 買った appeared in the sentence. I similarly present adjectives in their "purest" forms, without inflections such as ーかった. For the most part, I don't define words that appear in hiragana; you probably know many of those terms. Sometimes, though, the words in hiragana can be quite puzzling, so I clarify them when it seems necessary. Within an essay, if vocabulary repeats in sample sentences or in photo captions, I define the word only the first time. Let's say there are two instances of 彼女 (かのじょ: she, her). An asterisk will accompany the initial definition of 彼女, signaling that this word will recur later in the PDF—minus the definition. Here's where this gets tricky; the first occurrence may be in a sidebar or photo caption, which you may have skipped, preferring to read straight through the main text. Most likely, only common words such as 彼女 will repeat in an essay, and you're bound to know such vocabulary already, so it's doubtful that you'll be left high and dry. Joy o' Kanji quizzes challenge you to consider the meanings of individual characters and to guess what they would produce when yoked together in a word. Generally, these quizzes don't test you on any prior knowledge of kanji, though sometimes they do. There's no real difference between a Quick Quiz and a Verbal Logic Quiz. However, a Quick Quiz occurs somewhere within the essay, affording a small break. By contrast, a Verbal Logic Quiz signals that the end has come (but not in any dire way!). The footer reflects the number of the particular essay, which is 1625 for 摘. There's also a copyright symbol in the footer, always a nice thing to observe! When you get caught up in thinking about etymology, yomi, shades of meaning, and so on, you can forget to admire kanji as the visual treats that they are. You'll find several kinds of images to enjoy in the PDFs. 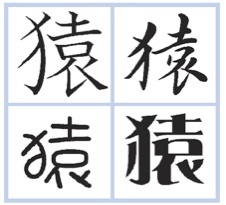 These images (from the website Moji Tekkai) show the very different shapes that kanji can acquire, depending on the font. Can you see the photo credit? Christopher Acheson has generously supplied many wonderful photos. Others have come from Kevin Hamilton, Christopher McTavish, from me, or from other people, always credited just below the photo. 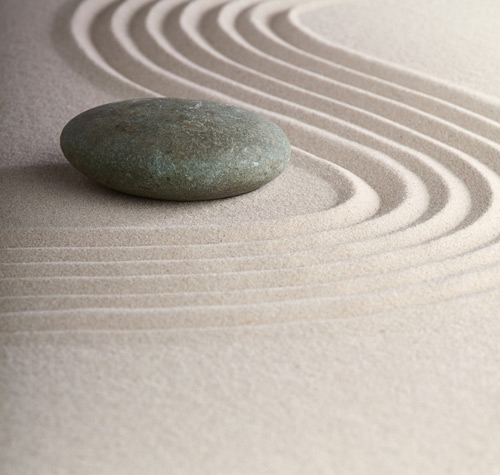 I'm always on the lookout for great images, especially ones of the kanji starring in each essay. As photos of particular characters become available, I'll add them to PDFs, and the synopsis on the relevant Character Home Page will reflect that there's been an update to that essay. If this Guide to the PDFs has failed to cover something, please don't hesitate to ask!